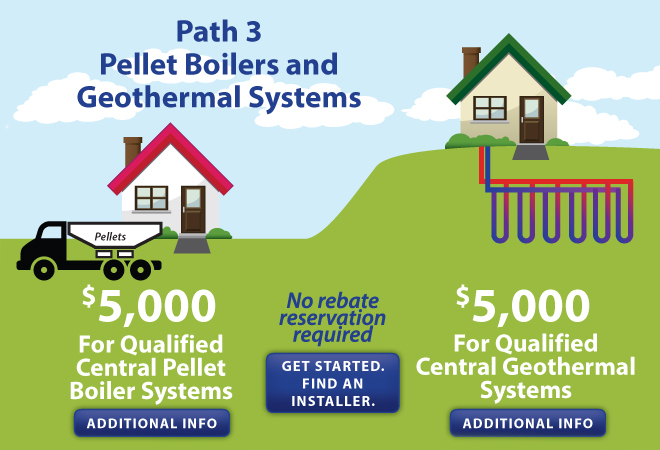 Financial incentives come in different shapes and sizes, and every type is found with wood and pellet stoves and furnaces. Exemptions, deductions, credits, rebates and vouchers all work differently, providing incentives that may be more valuable for one homeowner’s situation but not his or her neighbor’s. Tax credits are the most valuable end-of-year benefit, because they directly reduce the amount of taxes owed dollar for dollar. By subtracting directly from taxes owed, instead of from income calculations, a tax credit can be three or more times more valuable than a tax deduction. For example, a tax credit of $500 for someone in the 28 percent tax bracket is equivalent to a tax deduction of $1,700. Thus, the2010 ï¿½ 2011 federal 10 percent tax credit up to $300 is one of the best available for a wood or pellet stove (but capped at $300, the 10 percent credit top out at a $3,000 bill, making it not as attractive for a $8,000 to $12,000 furnace or masonry stove)." Vouchers work like instant rebates, but you are usually issued the voucher earlier and must bring it and submit it as a cash equivalent at the time of purchase. They are then redeemed by the retailer at a government office or other issuing organization. Click here for incentives in your state. Look carefully at the type of incentives available in your area when calculating your potential savings, and check to see that you have correctly budgeted around them.